In “Participants,” twelve short plays by TheatreFIRST at Live Oak Theater, genres spill one into another, as the audience spills into actors. 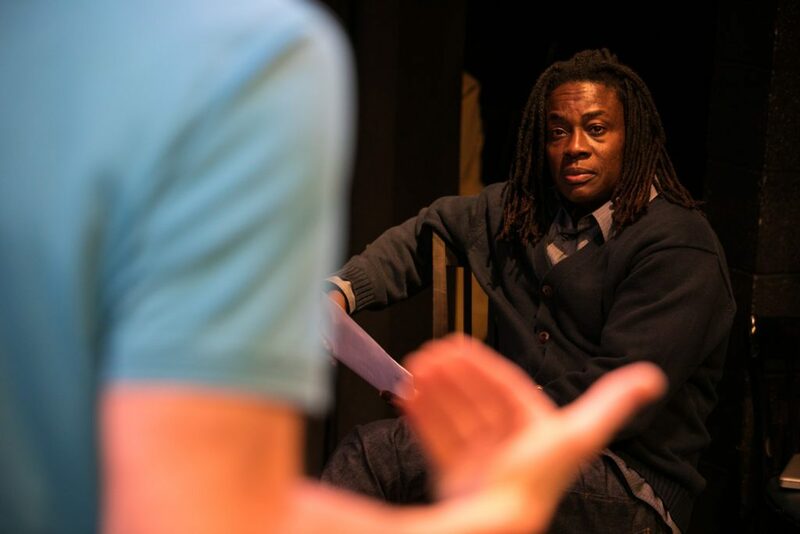 Play Four, “Living Proof,” features writer Skyler Cooper as actor and character, telling a moving, personal story of a Black man coming to embrace his identity. In the moments Cooper is on stage, we might be listening to the Moth Radio Hour—but more intimate, raw, unaffected. Cooper’s story is a gift. 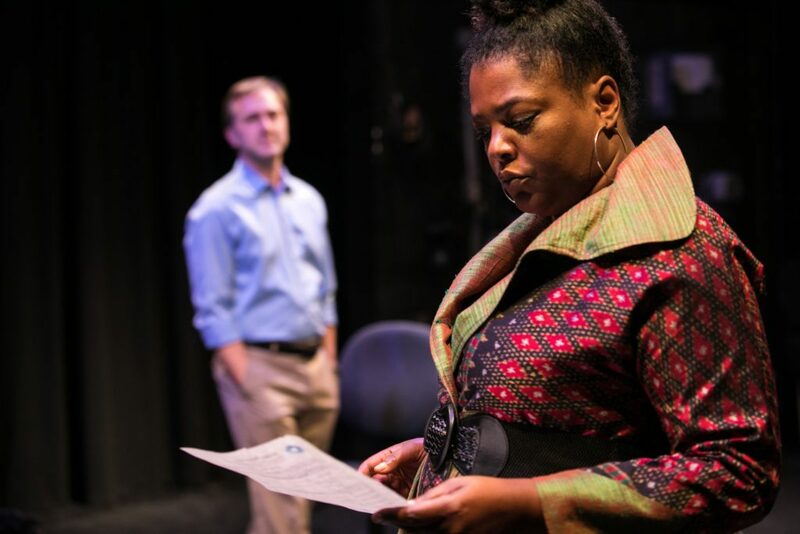 In Play Seven, “Take the Ticket,” a young Black woman playwright retells her experience of tokenism in theater. 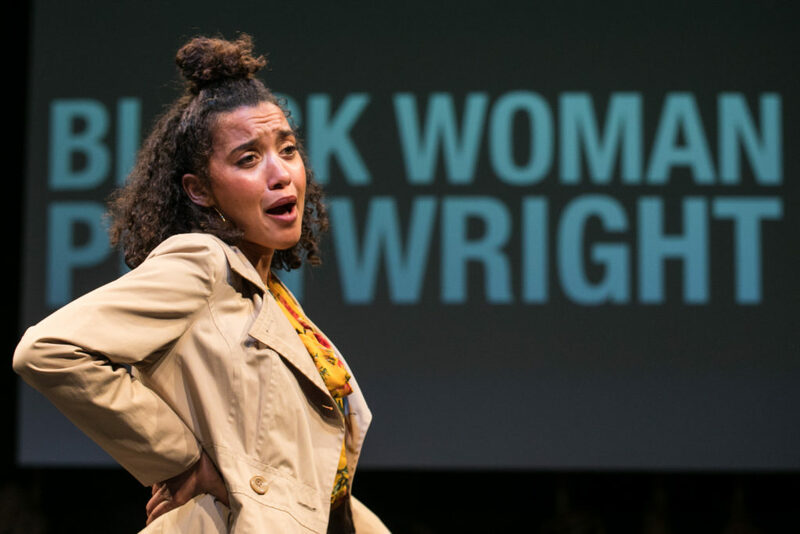 Though her work feels just as personal as Cooper’s, written by Star Finch and acted by Dezi Solèy, “Take the Ticket” dislocates, ever so slightly, our sense of autobiography. 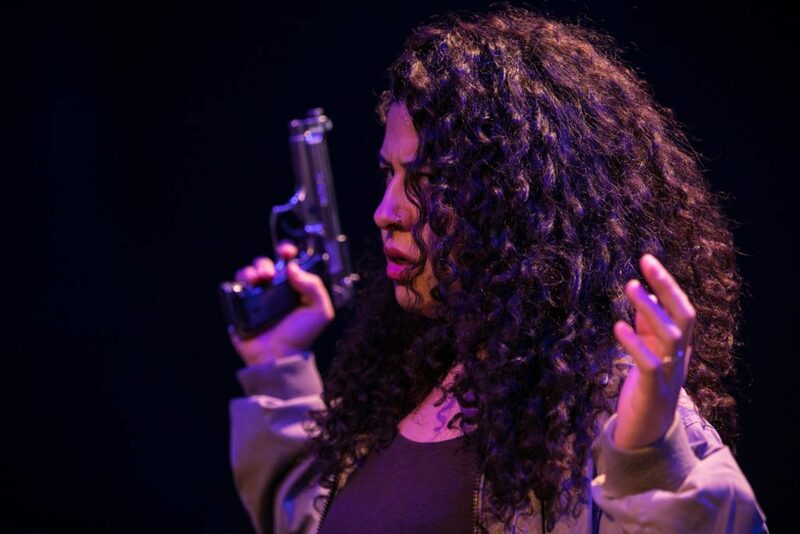 Play Nine, “A Hole in the Shape of a Play,” is not so much a play as a meditation on a play silenced. In Play Eleven, “Scenes from My Terrific Death,” we are regaled with a death-bed caricature of the man whose presidency has already defied all bounds of realism. 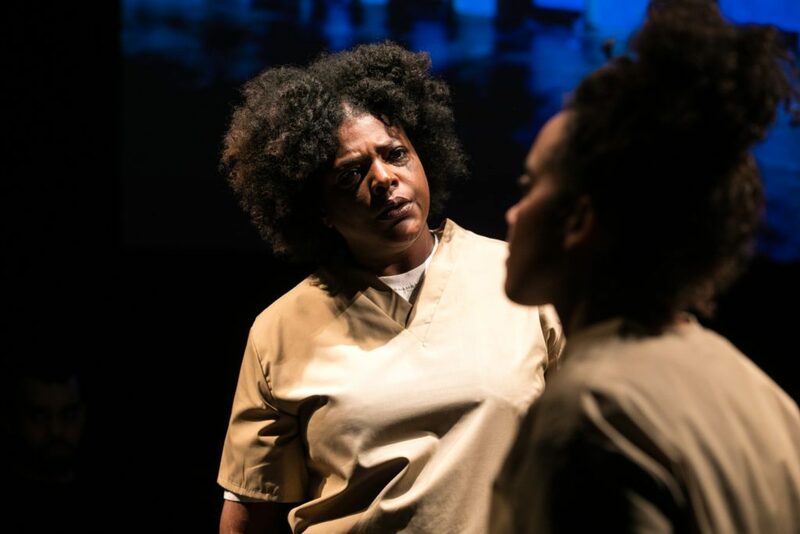 Together the plays make for a thrilling, hilarious, sobering, not ever entirely comfortable exploration of sexist and racist violence in Trump’s America. Play Two (of the twelve), “Show of Hands,” marks a break in the action. It’s not a clean break. The actor on stage (Ed Berkeley) still is performing the bravura emcee, as he was when he welcomed us on the pavement as we entered. Raise your hands if, he says. Are we really supposed to raise our hands? Yes, we are. He starts with some easy questions, to which everyone knows the answers. Then: Raise your hand if you’ve ever had a gun pointed at you, by a criminal or by a police officer. Up go many hands. Unfathomably many. Looking at the faces of the other audience members around the circle in which we are seated, on folding chairs in this black box theater, you think, my god, what kind of world are we living in? For the harder questions that follow, he asks us to answer with eyes closed. Play Nine. 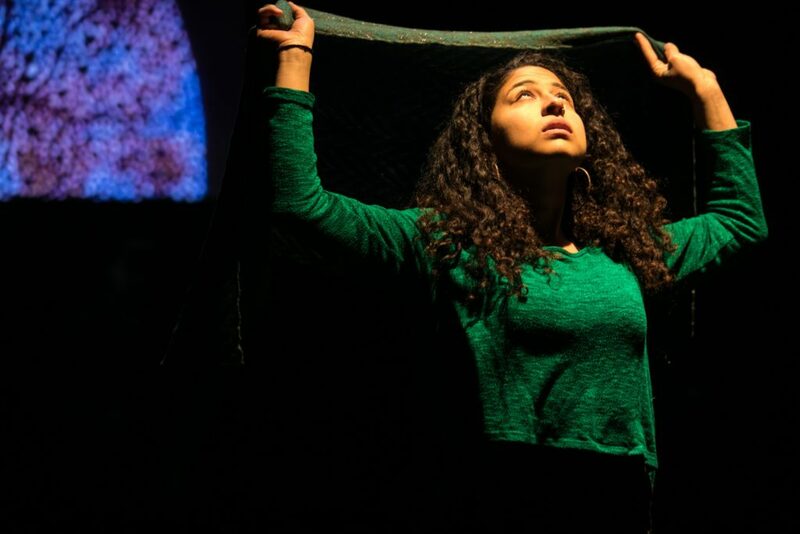 In Geetha Reddy’s “A Hole in the Shape of a Play,” starring Akash Patel and directed by Jessa Brie Moreno, Reddy explores the difficulty of finding an older actress of South Asian descent to act in her play. Not finding one, she has written this piece—angry, mournful, funny—about her casting struggle, instead. She locates the trouble in the theaters that have rejected younger South Asian actresses for decades. Reddy asks us to think of “the woman,” at home or perhaps engaged in other work, who “should” be on this stage right now. We most often perceive systemic oppression as a system-wide problem whose precise effects on individuals are not known to us. Reddy, speaking through Patel, offers us the opportunity to imagine the precise story—of a specific woman whose aspirations were thwarted. Like a moment of silence, personifying the loss, we experience a hole in the shape of a woman. Play Eight. In “A Sure Cure Lure Story,” by Aaron Loeb, marginalized people express their needs with effervescent clarity; but like a game of broken telephone, we hear their words garbled and accusatory. A Black woman attempts to explain an element of racism to a person facing less discrimination (a white woman), who attempts to explain an element of misogyny to a person experiencing only limited discrimination (a white man), who in turn tries to explain himself to a person experiencing discrimination (a Black man) who also holds a position of authority, as a therapist. The dueling dialogues that ensue achieve Shakespearean extremes of hilarity and miscommunication, with desperation and pathos on all sides. Loeb’s piece highlights the refusal of people in positions of privilege—through race, gender, or class—to abandon their narratives of self-victimization, even in times of crisis. Interlude. The lights come up and we are addressed by Jon Tracy, the Artistic Director. He explains that each show will feature a special guest who will enter the dialogue with the audience about the themes broached in the plays. Unbeknownst to us, the theater critics are tonight’s special guests. First question: How do you live your politics through your writing? Second question: Why is the cadre of theater critics so white? Quickly it gets messy. The racist trope of Black-on-Black crime is mentioned, and taken as a valid construct, it would seem. Already uncomfortable, people start shifting in their seats, looking visibly angry. In response to the second question, it is proffered that in a recent hiring process, no candidates of color came forward, despite sincere outreach efforts. Another audience member responds, calling out the excuse: Systemic racism prevented the fostering of Black theater critics in their youth, just like in Reddy’s play. And yet, as resonant as that comment is with the theme of the night, it leaves its own gaping hole. 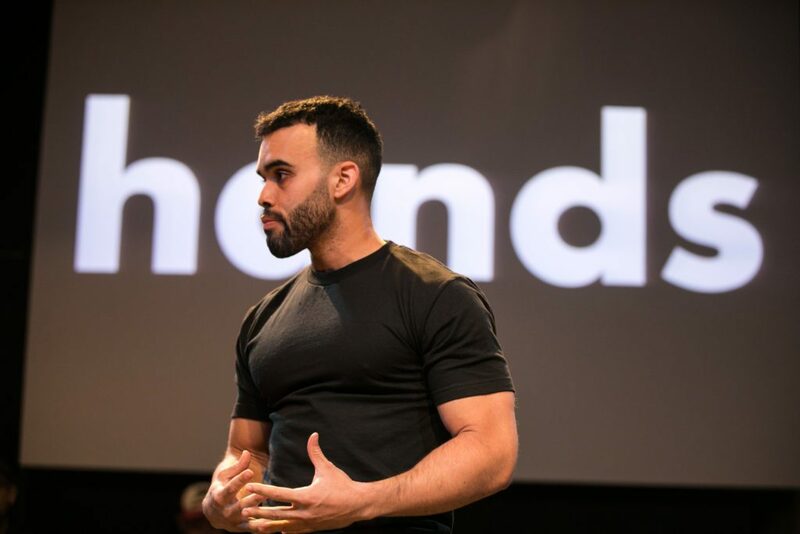 How are we, those of us who would take on systemic racism, to do better? There are no easy answers, although “Participants” offers some ideas of where to start. The tension in the room makes the plays feel all the more vital. Written by: Linda McLean, Anthony Clarvoe, Rohina Malik, Skyler Cooper, Nick Hadikwa Mwaluko, Christopher Chen, Star Finch, Aaron Loeb, Geetha Reddy, Carl Lumbly, Dipika Guha, and Octavio Solis. Directed by: John Patrick Moore, Erin Gilley, Bridgette Loriaux, Mary Guzmán, Ashley Smiley, May Liang, Brit Frazier, Elizabeth Carter, Jessa Brie Moreno, Josh Costello, Susannah Martin, and Ellen Sebastian Chang.